Promo mix by Sol Edge For Dazed warehouse party! 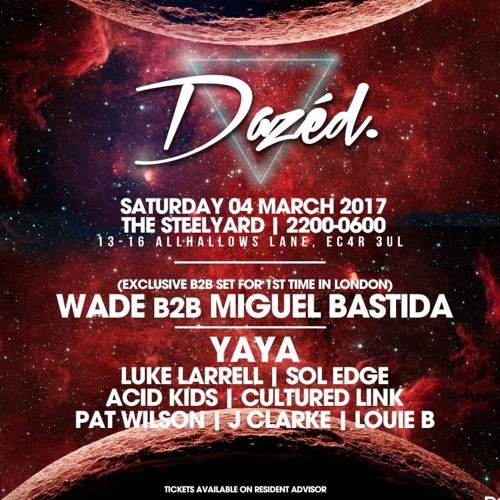 Dazed is back at London's amazing warehouse venue with another incredible line up. Wade & Miguel Bastida will be doing a special back to back exclusive for the first time in the UK!